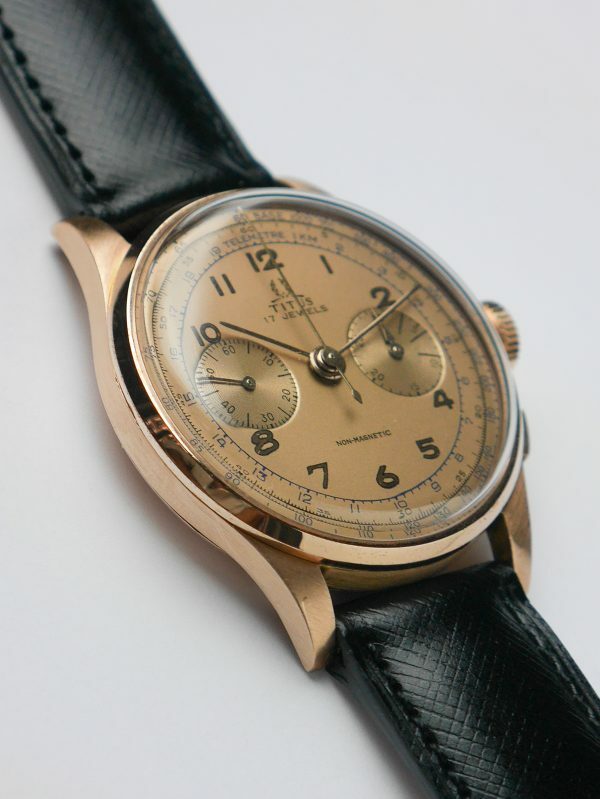 Vintage chronographs have their fans and, and looking at this Titus chronograph, we can understand why. Featuring a superb 38mm pink gold case, pink gold hand and a golden dial, this beauty is a keeper. 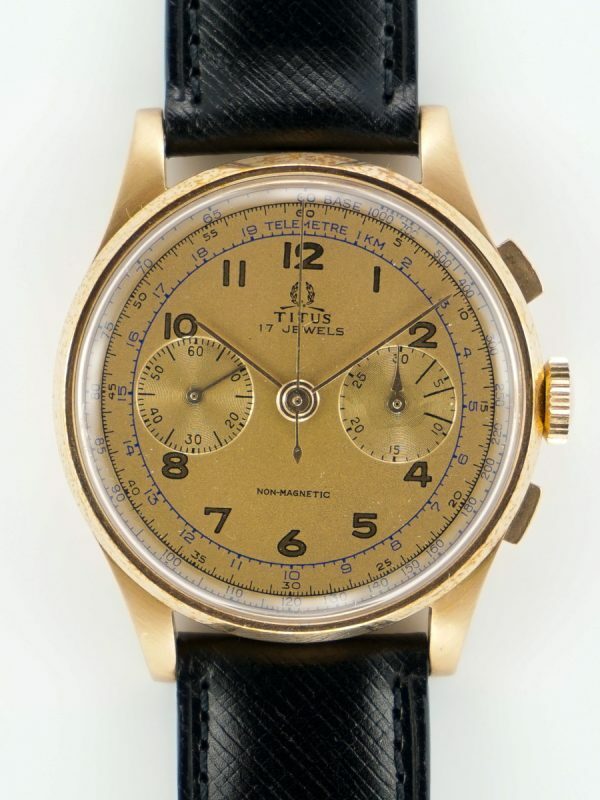 What make it special, in addition to its like NOS condition, is its size, very big for the 50s, and the fact it was made of 18kt gold, rare during several years after WWII. 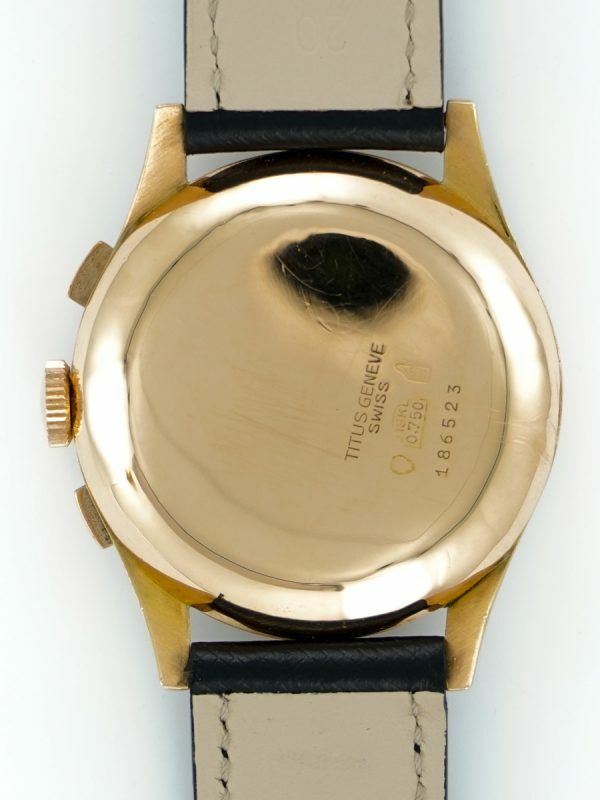 The watch is in pristine condition. 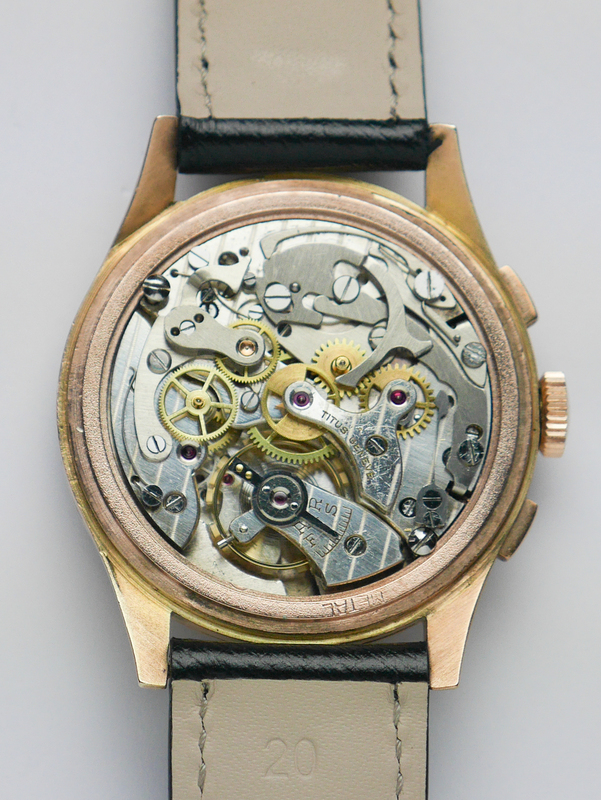 Coming from a watchmaker stock, it has never been worn and is coming with all its original parts. 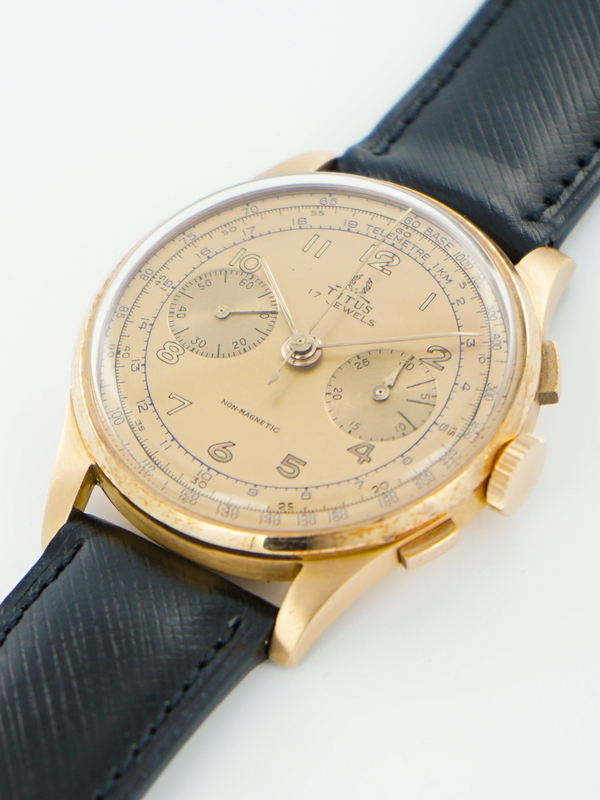 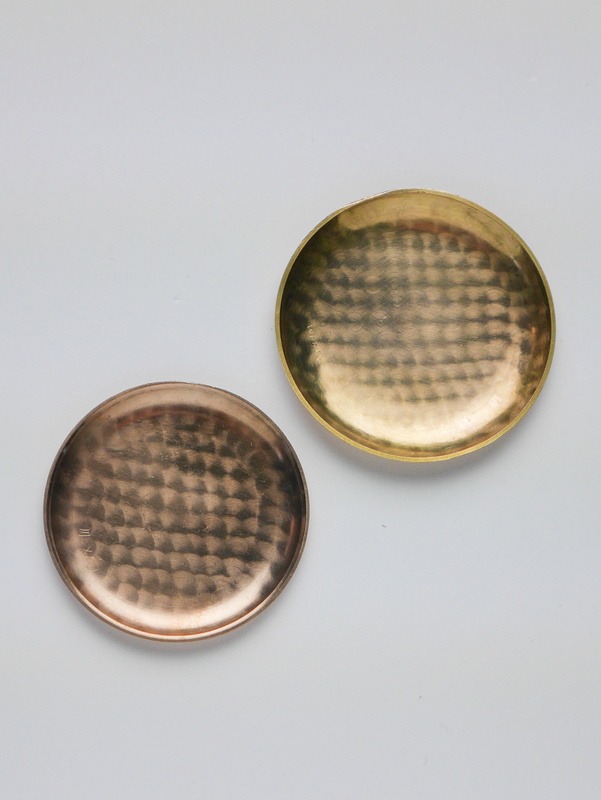 The 18kt pink gold case is unpolished and closed to perfect. Dial is in pristine condition, hands are perfect. 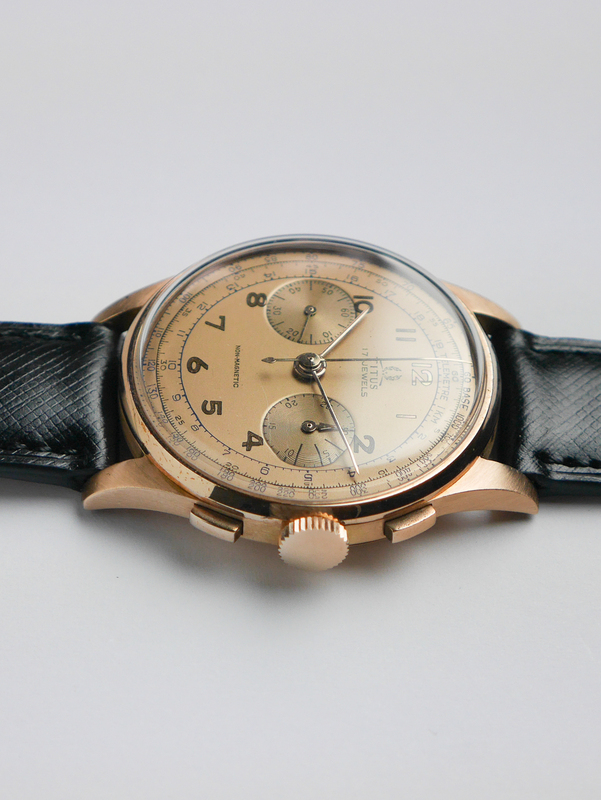 Leather strap is new.